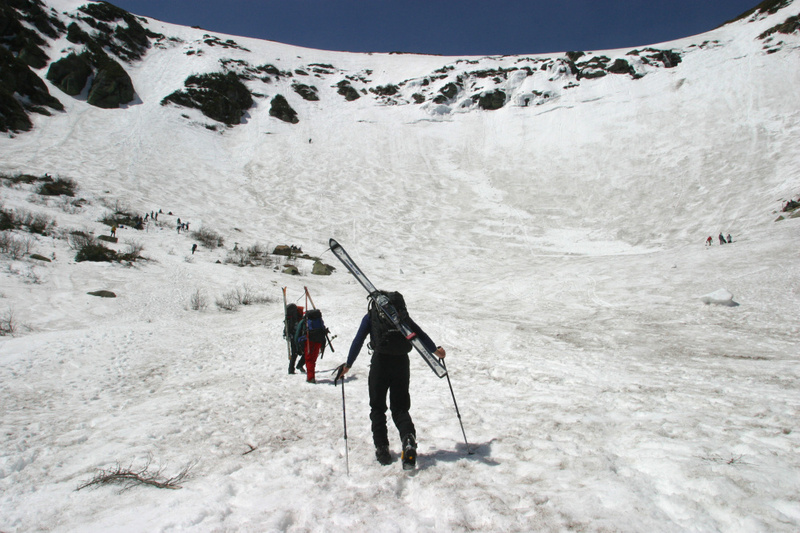 While visiting Tuckerman Ravine, Kaj Huld of Brunswick is swept away for 200 feet and left waist-deep in snow. A backcountry skier from Brunswick was feeling bruised and battered Monday after being swept away by an avalanche on Mount Washington’s Tuckerman Ravine. He also was having second thoughts about whether he’d return to a place where he has been skiing regularly for the past five years. Kaj Huld said he will never forget the power and speed of the wall of snow that engulfed him and three other people Sunday, carrying them hundreds of feet down the mountain. 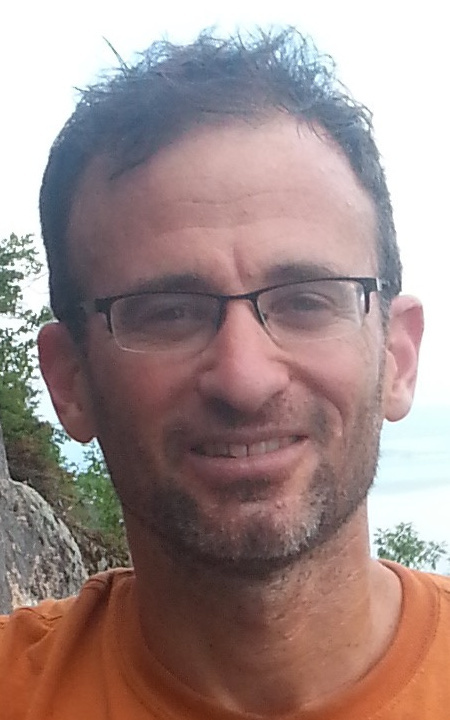 Huld, 47, who was interviewed by phone Monday night from his girlfriend’s home in Damariscotta, said he was using climbing skins on his skis to ascend a slope in Tuckerman Ravine when he looked up and noticed two climbers about 600 feet above him in a steep bowl of snow called The Chute. White Mountain National Forest authorities told The Associated Press that the climbers were ascending The Chute when they detected an unstable snow surface and decided to turn back. Officials said the slope above the climbers fractured, launching a 100-foot-wide avalanche that swept both climbers and two nearby skiers, including Huld, to the base of the ravine. “Everywhere I looked it was coming at me … and fast. I got swept away and pummeled down,” said Huld, whose greatest fear was that the avalanche would push him over a rocky precipice. He estimates that the avalanche pushed him down the slope for at least 200 feet before he came to rest stuck waist-deep in a mound of snow. His left leg was in excruciating pain and he was bleeding from his face. Huld was able to free himself from the snow, but his skis had come off and are still buried on Mount Washington. Huld and climber Michel Houde of Lorraine, Quebec, were treated by National Forest Service snow rangers for minor injuries. Members of an avalanche class used a litter to carry the second climber to the Hermit Lake base camp, and he was then transported by snowmobile to a waiting ambulance at the Pinkham Notch visitors center. Huld also was transported by sled to the base camp before being taken by snowmobile to the visitors center. “I have a giant bruise on my (left) leg,” Huld said, acknowledging he was fortunate that he didn’t sustain more severe injuries. At least nine people have died in avalanches on Mount Washington in the past two decades, including two climbers who were among seven people swept more than 1,000 feet down Tuckerman Ravine in 2002. New Hampshire leads the nation in the percentage of avalanche deaths resulting from trauma, according to the Mount Washington Avalanche Center. The state’s terrain and low snowfall make it more likely that someone caught in an avalanche will be harmed by trees and rocks as they tumble downhill. Huld, a mechanical engineer who owns Breakaway Energy Services in Brunswick, enjoys backcountry skiing in Tuckerman Ravine, having made about six trips each of the past five winters. “I like the terrain and I’m old school. I like being able to hike up on my own and earn my turn to ski down,” Huld said. He was transported to Androscoggin Valley Hospital in Berlin, where he had X-rays taken of his leg. After being released, Huld spent Sunday evening in a hotel before driving himself back to his home in Brunswick on Monday morning. Huld said a lot of people have been asking him if he plans to return to Tuckerman Ravine. The Mount Washington Avalanche Center, which is staffed by White Mountain National Forest Service snow rangers, regularly issues avalanche advisories. The report for last Saturday warned climbers and skiers that Tuckerman Ravine had received 12.6 inches of new snow over the past week. Overnight on Saturday, winds were expected to grow to hurricane force. “Anticipate increasing isolated instabilities to develop through the weekend,” snow ranger Christopher Joosen reported. Joosen said one of the largest snowfields had developed in The Chute. Despite the conditions, rangers had not issued a danger warning for Sunday.